This retreat is an opportunity to nourish your body and spirit in a healing place of beauty and serenity. Enjoy breathtaking views of the Pacific Ocean from this eco-boutique hotel and wellness spa; a place of intentional peacefulness, set among towering evergreens and ocean breezes along Hawaii Island's North Kohala coast. Settle in for 5 nights in the yurt village on the sacred grounds and find peace, strength and harmony on 50 acres of gardens, wild groves, and ancient valley trails. Each morning will explore a different style of meditation and yoga practice led by DeEtta, mindfully preparing you for the day ahead. The practice will be held in an ocean view room with beautiful hard wood floors. All levels are welcome. Together we will enjoy a daily breakfast from their organic gardens and orchards, a living tribute to the Big Island's bounty of exotic vegetables and fruits. They grow the foods used in their meals, from salad greens to lychee and sunrise papaya. On a few days we will also enjoy their lunch and dinner with the exception on adventure days when we will be exploring the island. This will be an opportunity to experience the local cuisine and some of the best rated restaurants on the Island. EXPLORE yoga and meditation; Find Peace. 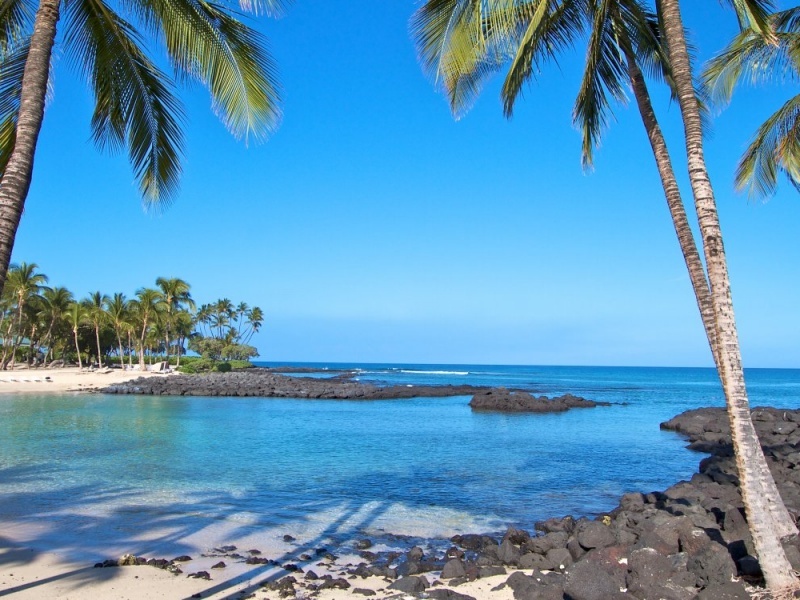 EXPLORE the diverse terrain of the Island of Hawaii, from the cliffs at Kohala, to the colored sand beaches, to the magical volcanoes; Find Strength. EXPLORE the retreat center's needled groves, valley trails and Hawaiian culture, including legendary council stones and native trees planted generations ago; Find Harmony. RESTORE; Quiet time to reflect will be weaved throughout, whether you are relaxing poolside or basking in the sun on some of the gorgeous local black, white or green sand beaches, gently restoring your body and spirit. The yurts have two single beds or one king, a private toilet and sink. The spa locker rooms as well as indoor and outdoor shower options are located nearby. A non-refundable deposit of $500 is required to secure your spot. DeEtta is registered with Yoga Alliance as E-RYT200, YACEP (Continuing Education Provider), is an Urban Zen Integrative Therapistᵀᴹ, a certified y4c (yoga 4 cancer) teacher and a 'Do-It-Yourself' Diva. Her love for yoga started to grow from inside; from that tiny spark that is in everyone but we sometimes forget about. Her classes are creative, playful and sometimes inspired by her current DIY project. Yoga is a lot like life, and life is a lot like yoga; both requiring balance, mindful breathing and sweat equity. She applies a combination from all of her teachers and trainings to each class to make them accessible for everyone, and loves to witness the "Aha" moments as students discover and make the connection between their yoga practice and their life. She has taught Yoga for Cancer Care in Bali, Indonesia and Ireland and strives to help those touched by cancer learn to be in the present moment. DeEtta is compassionate and non judgmental and lets each class unfold as it should for your physical, spiritual and emotional health and well being. Her goal is to inspire students to love life and yoga, just as her teachers have done for her. In addition to life experiences she has been trained by Rodney Yee and staff for Urban Zen Integrative Therapy and Tari Prinster for y4c.